Three of the four airfields in Nebraska used for training the Bomb Groups of the 315th Bomb Wing have been converted to use with modern aviaion. The exception is McCook AAF, which apparently was closed between 1968 and 1970 (see webpage link below). The city of McCook now has a general aviation airfield just east of the city. The photo is from official histories found at the Air Force Historical Research Agency (AFHRA), Maxwell AFB, AL. 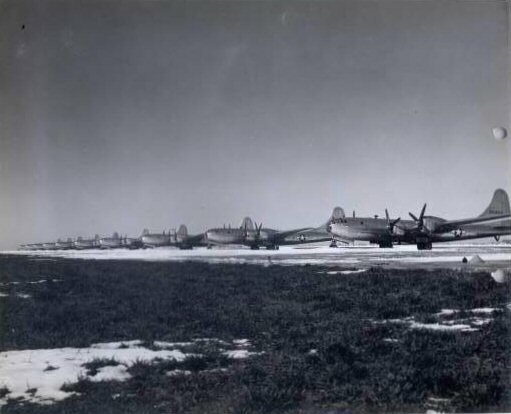 Scott Hochstein provided this photo of the Fairmont flightline and "Flyaway" B-29s. This photo was taken in approximately March 1945. Note: No, that isn't a UFO on the right side of the photo. The two circles on the right side of the photo are holes in the original photo where it was secured in the history folder. The Civil Air Patrol has a website with photos of Fairmont as it appeared recently. You may find their site here. Follow down the column "Sort City" to find to find Fairmont. 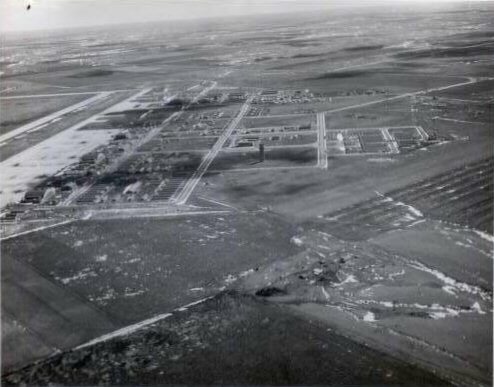 McCook Army Air Field was approximately 8 miles north-north east of the city of McCook, Nebraska. Aerial views today show only portions of the ramp still visible and the outlines of the runways may be discerned. The area is no longer used for aircraft operations and is mostly farm land. 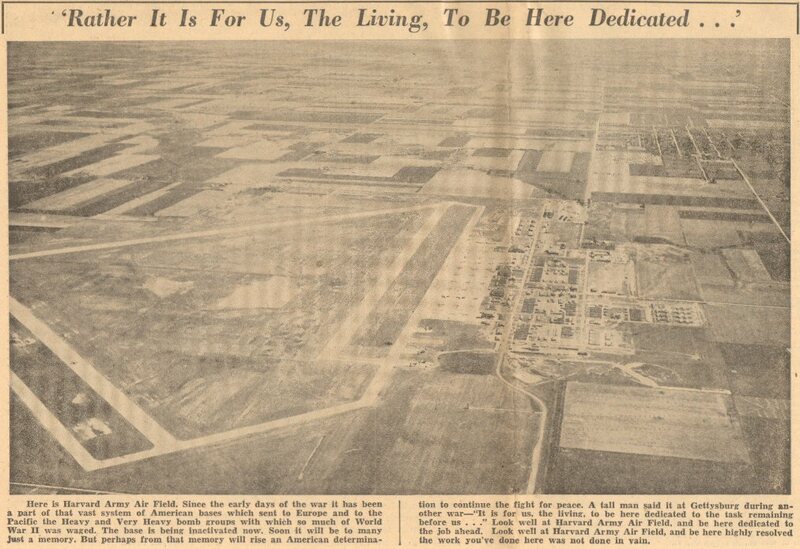 The original page is captioned; "General aerial view of the McCook Army Airfield and surrounding areas." Scott Hochstein provided this photo of McCook AAF, Nebraska, looking from the northwest. Scott Hochstein provided a scan of a portion of the final base newspaper for Harvard. The Civil Air Patrol has a website with photos of Grand Island as it appeared recently. You may find their site here. Follow down the column "Sort City" to find to find Grand Island. A brief history of Grand Island AAF, now the Central Nebraska Regional Airport, may be found here.